Jeda and Anala, the two lovable baby Sumatran tiger cubs that were born at Disney’s Animal Kingdom at Walt Disney World Resort back in August, made their television debut on Good Morning America this morning! Beginning today, guests can see the two playful cubs in their habitat on the Maharajah Jungle Trek! Take a look at the video below to see a cute video of the cubs playing! 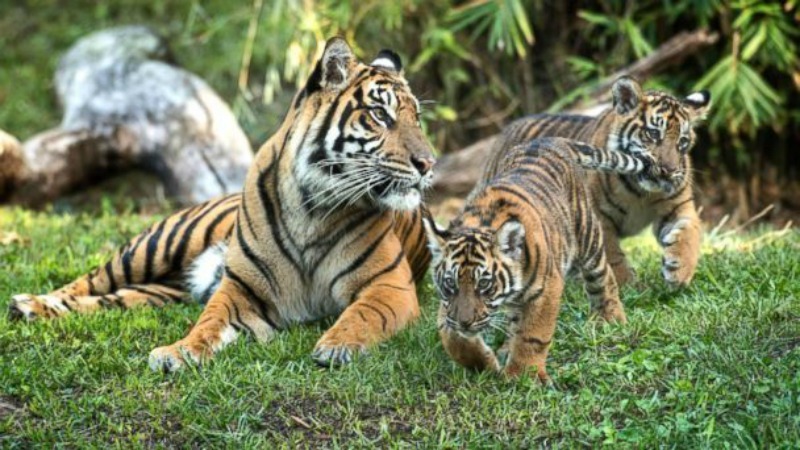 These endangered Sumatran tiger cubs were the first tigers that have ever been born at Disney’s Animal Kingdom!